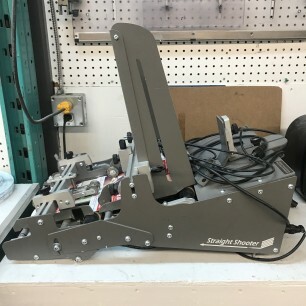 The unique adjustable angle acceleration table allows you to deliver documents to your production machinery at the optimum angle, no matter what the application! Utilize as a Feeder in front of Mailing Equipment, Folders, or Folder Gluers. 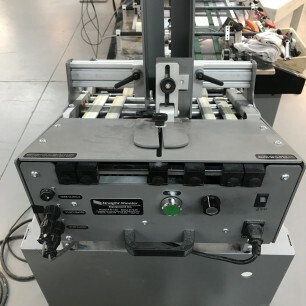 Or, capable of mounting atop a Moll, Kluge, or Chameleon Folder Gluers for Tipping/Affixing applications! Contact us for more information on this Straight Shooter R-12D Friction Feeder by clicking on the blue “Get More Info” button to the right. Or, view more details in the MFG PDF below.